A formal apology from Trey Songz has been demanded by a woman, who’s accused the American rapper of assault. The real name of the singer, who’s known for the song ‘Slow Moion’ is Tremaine Neverson. It has been claimed that he punched Andrea Burea in a party. The incident occurred in the month of February on the 18th, during the NBA All-Star game. 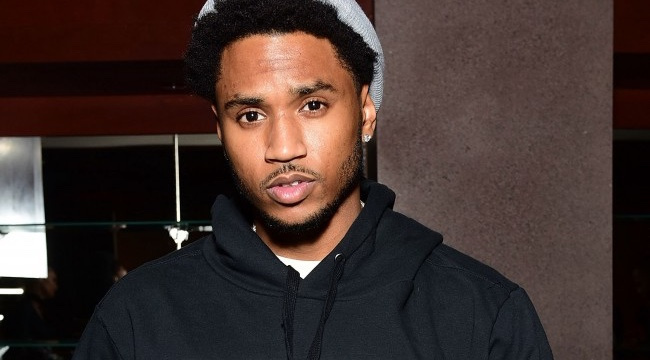 The woman, Buera, has claimed that she was involved in a relationship with Trey and that they were ‘occasional romantic partners’ for the past three years. Last week, she had managed to obtain a restraining order against the singer. This Tuesday, she and Lisa Bloom, her lawyer, told the press the details of the events that unfolded. During the statement, Buera got emotional over the events that she was describing, and she had pointed out that she had suffered a concussion because Songz had hit her so hard. She said that Trey had began yelling at her and started to choker her during the party. He pushed her to the ground and started punching her, and was rescued by a security guard, who pulled him off of her. She recollects that she then called the Uber car service, to come pick her up, but the singer then got hold of her phones and threw them off a cliff. She was hospitalized following the injuries and said that she was shocked and terrified at the time. She went on to call people at the party for help, to step forward and help her get justice. Apart from that, she had something to say to Songz, by calling him out and telling him that he knew well what he did, and he knows it was wrong too. She then proceeded to ask Troy to apologize to her for what he did. Meanwhile, her lawyer has claimed that her client had been considerably harassed, by people she says had been hired by Trey to harass them. A permanent restraining order against him and anyone close him, is what she is aiming for next. The pair will be in court on March 27th for the hearing.